At least 47 people are said to have died on the spot after a head-on collision between two buses in Rusape. Reports claimed a coach belonging to the Bolt Cutter bus company travelling from Mutare to Harare collided with a Smart Express Bus Services coach heading in the opposite direction. 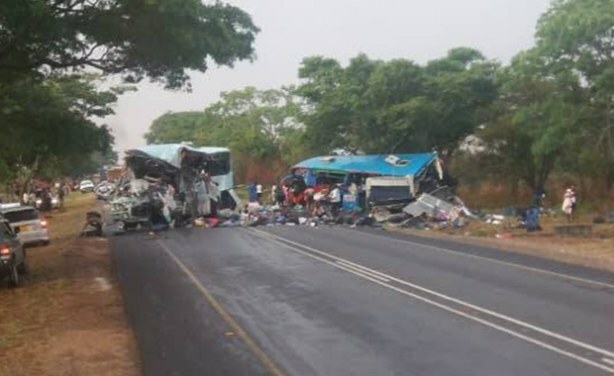 The wreckage of Bolt Cutter and Smart Express buses that collided head-on on the Harare-Mutare Highway, killing 47 people and leaving 70 others injured.